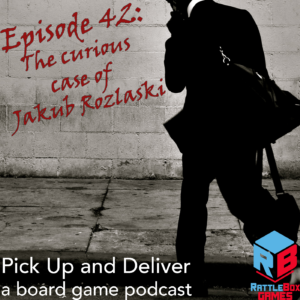 Brendan dives head first into the current conversation about the paintings of Jakub Rozalski, the artist for Scythe. Does the history of copyright and the changing nature of creativity complicate the accusations that Rozalski has traced portions of his work? Here´s my two cents sa an Illustrator and designer. The art is clearly traced. There is no other explanation for how close and consistent it is. It becomes even more obvious when looking at the timeline. It still amazes me that people are still debating it. “Tracing and photobashing are common practices” – Yes but only with concept art that almost never sees the light of day and it´s done due to extreme time pressure . Changing out the head on a character might not qualify as photobashing and the process is usually more complicated than that. During an interview for a gaming company I was asked about my process. As soon as I mentioned photobashing the employer asked to see the references I had used. This was to make sure I had altered art enough for it to become something original. No employer wants to get sued. Using images without permission is illegal but the original owner of the photo/illustration would have to sue and I don´t think there’s a chance for that. Usually what happens is the original owner gets in contact, gets credit/apology and compensation without the case going to court but artist have been sued. Saying “everything is a remix” opens up a whole new discussion on intellectual property and a Pandoras box. Stealing ideas shouldn´t be cheaper than coming up with something yourself. Remixing takes less effort than creating something original and we should give credit where credit is due. It´s hard to draw a line but a line is needed none the less otherwise well end up at a place where everything and anything goes. I´ve come across many people who at first thought that they were looking at a Simon Stålenhag painting when in fact it was one of Jakubs. So it´s not just a question of tracing vs refrencing and crediting. Even his concepts seem borrowed and that´s not even exploring the fact that he actively tried to cover it up. There´s just so much there and the whole thing just stinks. I´m not going to take my pitchfork and march today. Jakub is a bad artist with a big ego that took some shortcuts and accidentally created something good but he´s since become a one trick pony. Thanks for your comments. My contention is that the legality / illegality of this kind of art is skewed when compared to other art forms, and our current system of how ownership and compensation get attributed is out of step with the technologies we have today. The ownership of songs and the ownership of images has changed dramatically over the centuries, and we should be attuned to the fact that this isn’t part of the natural order, but rather a social convention we agreed upon. I don’t think I am opening a new conversation when I say “everything’s a remix” (not my coinage, obviously). It always already is. The question is at what level we decide it IS or ISN’T okay to borrow things. It’s interesting that you talk about mixing morality and commerce. Your essential argument is that Rozalski’s actions were not immoral since they don’t rise to the level of copyright infringement. I think you’re misrepresenting Rozalski’s accusers. It’s not so much that he traced or copied elements – it’s that he portrays this work as coming entirely from his imagination. That the “for reference” “citations” he adds is not what he’s doing with the sources since he is doing exact 1:1 copies (and possibly just cut-and-pasting them and then applying a tiny amount of digital alteration). This not a case of sampling music to make new songs – it’s sampling music to make new songs and then claiming music virtuosity for all the instruments that you’ve mastered. Yes, there are people who are yelling about “copyright” – but there are also a lot of people who are saying “if he was only honest about how he created these images then there would be no problem”. Here’s a question I asked oJamey Stegmaier in the reddit thread: before these accusations went viral, did you suspect that Jakub Rozalski lifted so much of his work from other people’s images? That’s a key question because it directly measures the results of the immoral activity. The plagiarism accusation is that Rozalski stole the credit for other people’s work. If that’s the case, then you should be surprised to see so many examples where he lifted other people’s images. So – were these accusations surprising to you? Reading through the early responses in the threads indicates that at least some people were quite surprised. This implies that Rozalski has been cultivating an impression that his work is entirely from his own imagination. The accusers have cited the “tutorials” and interviews he’s given to support this claim. Would you concede that Rozalski has been dishonest about his work? And specifically dishonest about using other people’s work as his own – which is textbook plagiarism. One final note – right near the beginning you mention the evidence presented on reddit, and you called it “exhaustive”. This is the real problem – there’s no way to know that it’s an exhaustive list. It’s a large list with a lot of examples – but there may well be more. That’s the other big issue here. We may not even be looking at the most egregious examples, let alone an “exhaustive” list of all of them. We’re only looking at the ones that have been found and made public thus far. Thanks for your comments. I don’t think I came down on one side or another about Rozalski’s work. I certainly didn’t mean to. I also think I recognized that some people were more upset about the deceptiveness than the method. I said his deceptiveness about practice was not ideal, but understandable given the criticism he was under. I guess I tried to take an empathetic perspective without necessarily taking sides. I disagree about the sampling comment you made. Many people do not recognize samples for what they are, and lacking any other context, do not know which pieces come from previous works and which do not. In a similar way, a poet who borrows a motif or a verbal image from an earlier poem benefits in one way from people who know the reference, and in a different way from people who don’t. I don’t know if “surprised” is the word I’d use, but I certainly hadn’t thought about the idea that the images might be photoshopped composites. I don’t see my idea of the paintings changing much if I had known that, but one can never go back. What interests me more is the nature of the criticism, the idea that this kind of art is “less,” and/or that the way he represents how it is made matters as much or more than the final image that exists. Art historians and critics have long discussed whether or not the context of the work matters, and in this case it seems to. My curiosity extends to the “why” of it all. So board game mechanics cannot be patented AFAIK, so that’s why you get games using the deck-building mechanism that was introduced in Dominion first. No need to mix it with other kinds of things that are created. If we’re fine with just paying for the original work, but not for copies, what’s your stance on Dixit copies that you can get from Chinese sellers like Alibaba? Is it cool? Or not? Why? You are correct that board game mechanisms can’t be copyrighted. They CAN be patented, but they have to show true originality, which is difficult, and the patenting process itself is expensive. Since board games have such a marginal profit, it’s usually not worth it to pursue. I would not put remix in the same category as outright piracy, so no, I don’t think paying for pirated copies of Dixit is ethical. In the same way, if an artist is borrowing from a stock image that is for sale to be used in just that way, I would call that unethical. But the work in question is transformative borrowing, to my mind, and falls into a different category of reuse/remix.